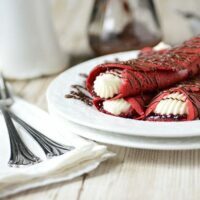 These Red Velvet Crepes will satisfy a multitude of cravings with raspberry preserves and a kicked up sweet cream cheese filling to the Nutella drizzled over top! A perfect treat for Valentines Day. I’m a big fan of chocolate, so there’s no questioning my love for red velvet………it’s a given. 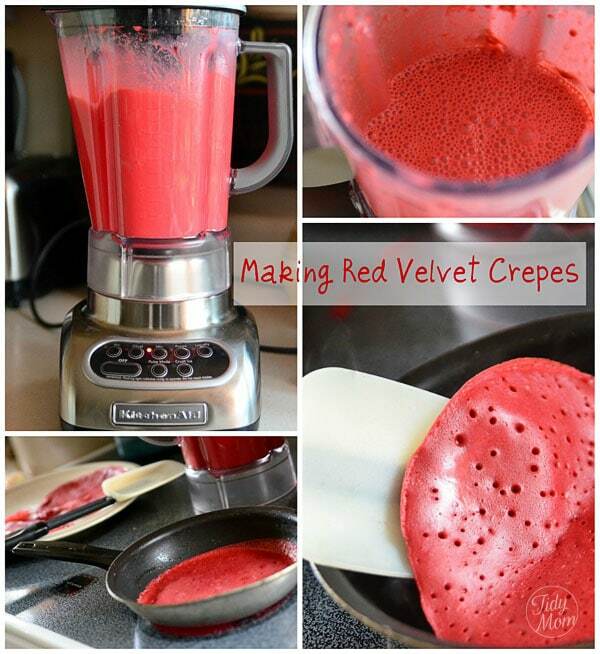 So, a week ago when I was making red velvet pancakes, it occurred to me how delicious red velvet crepes might be! I was first turned on to making crepes when Jeffrey Saad made Nutella Crepes for us in Napa with Bush’s Beans a while back. So I decided to use the same recipe and turn it into Red Velvet Crepes! First, you need a blender, I used my KitchenAid blender (which I LOOVE!) to mix up all of the ingredients until they are nice and foamy. According to Jeffrey, the key to great crepes is to let the batter sit, refrigerated, for about an hour before cooking. Next, while the batter is sitting, mix up an easy cream cheese filling (I had some left over from the red velvet pancakes I had made). Spoon the cream cheese icing into a decorator bag fitted with a jumbo french decorating tip. 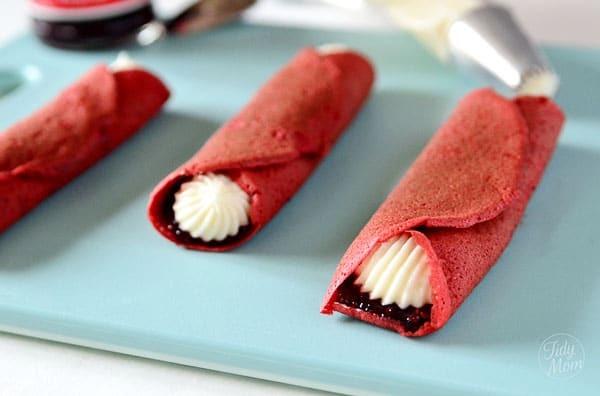 Once the crepes are cooked, use a spoon to spread some red raspberry preserves down the center of each crepe and pipe the cream cheese filling over the preserves. – oh my word was that a good combo! *you don’t have to be fancy though, you can use a plastic bag in place of the piping bag, snip the tip off and pipe filling over preserves (no decorator tip needed). Lastly, just fold both sides over, put them on a plate, melt a little Nutella in the microwave and drizzled over the top. 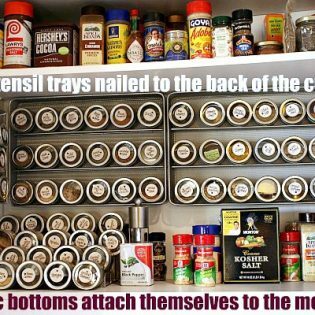 You could do the same with chocolate or even chocolate syrup if you want. These red velvet crepes were AMAZING! You could taste the red velvet perfectly, the sweet cream cheese filling was not overly sweet, the raspberry preserves gave each bite an unexpected surprise and the Nutella just pushed it over the top. As rich as they may look and sound, I have to say, they weren’t that overly disgusting rich at all. They would make a beautiful Valentines Day breakfast severed with some fruit or served as a dessert. Red Velvet Pancakes can make an ordinary breakfast feel extraordinary. Especially when you make them heart shaped for Valentines Day. 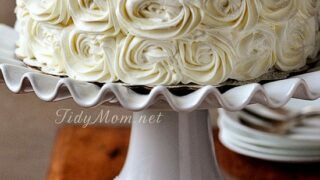 This rose cake is sure to make any birthday or special occasion spectacular. The red velvet cake made from scratch is soft, moist and tender, with the perfect red velvet flavor. Inside you will find fluffy cinnamon buttercream between the layers and topped with a delicious cream cheese frosting. A cake they will never forget! 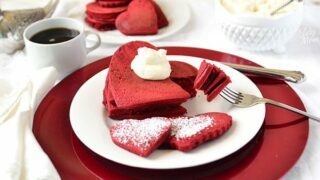 Both Red Velvet Crepes and Red Velvet Pancakes would be the perfect way to indulge your sweetheart on Valentines Day! Do you make anything special for Valentines Day? 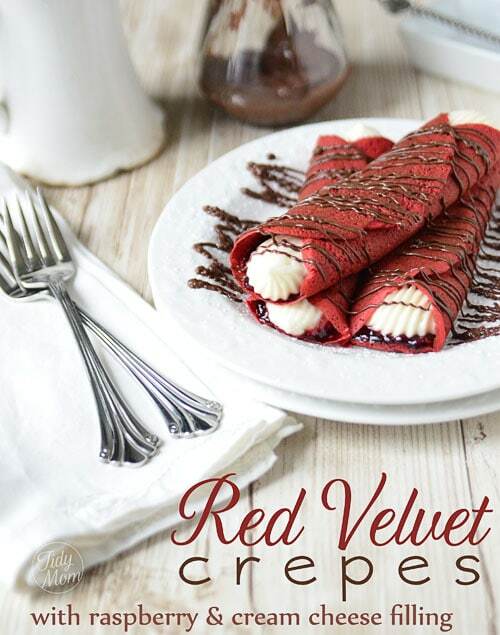 Like This Red Velvet Crepes Recipe? PIN IT! 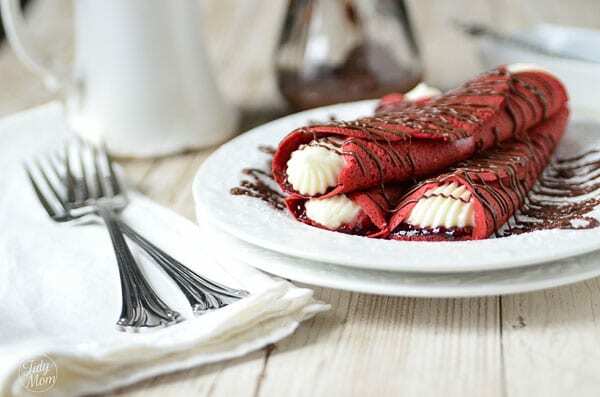 These Red Velvet crepes will satisfy a multitude of cravings with raspberry preserves and a kicked up sweet cream cheese filling to the Nutella drizzled over top. Combine 2 whole eggs + 1 egg yolk, milk, water, salt, sugar, vanilla food color, and melted butter in a blender and pulse until foamy. Add flour and cocoa powder and pulse until smooth. Let the batter sit for an hour. Prepare Cream Cheese Filling by mixing all filling ingredients with mixer until well combined and smooth, set aside. After batter sits for one hour, heat a small non-stick pan. Add butter to coat. Pour 1 ounce of batter into the center of the pan and swirl to spread evenly. Cook until the top loses its gloss, which should only take a minute, then flip. The bottom should be golden. Cook the other side for about 15 seconds and then slide out onto a plate. Prepare crepes by spreading a one inch wide strip of raspberry preserves down center of crepe, then top with cream cheese filling. Melt Nutella in microwave for about 30 seconds and drizzle over crepes. These looks so amazing! A perfect Valentine’s Day dish!! Very, very pretty. What a lovely Valentine’s Day breakfast! These are amazing! They don’t look too difficult either. I just might give them a try! I saw this on Skip to My Lou I would love it if you would share this with our readers too for Fun Stuff Fridays! Wow, these look amazing Cheryl! 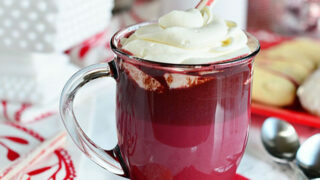 I’ve added your photo and recipe link to my Valentine must-try recipe roundup. Hope that’s OK! WOW! Those look absolutely delicious!! Oh wow..oh my! 🙂 I would love to try these out.. I tried to make this last night but my cheese filling turned out soupy!! what did I do wrong?! I’m so sorry. My best guess would be that you measured something incorrectly. 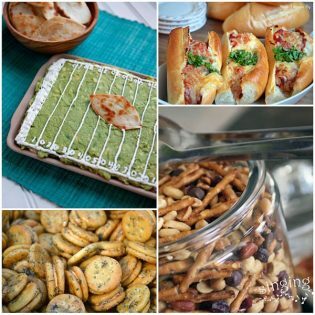 I shared this recipe on my blog! Thanks so much. They were SO delicious! I used my MIL’s hot fudge topping on them! Also, I froze them individually and have them for snacks in the afternoon – just for me! 🙂 Love your blog! I made these crepes this past weekend…so easy to make and very tasty! I posted pics up on my blog. Thanks for the yummy recipe! This looks delicious! 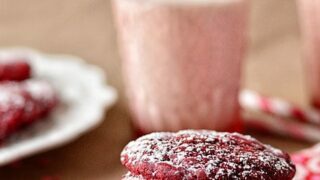 I just shared this recipe on my red velvet blog I hope you don’t mind! I can’t wait to try these out. Can you please let me know if the crepes can be made and then frozen? If not then can I refrigerate the batter overnight? These may just be the most beautiful crepes I’ve ever seen! Love! Can you substitute something else for the coffee? Oh, my..these loon incredible! 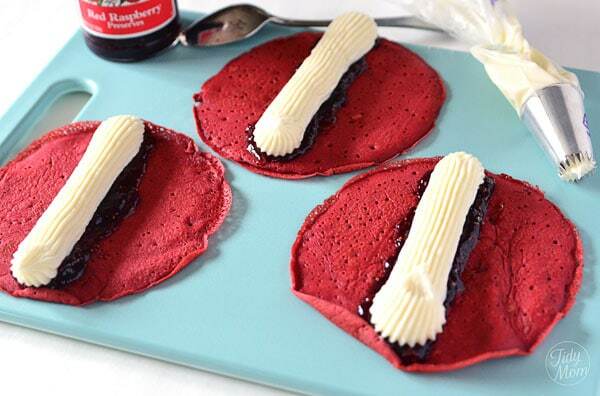 We love crepes & we will definitely need to try these for Valentine’s Day! Love how pretty they look! 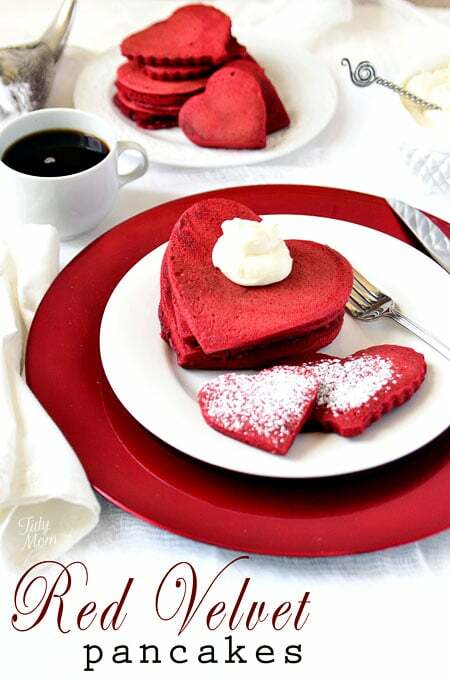 I was browsing Pinterest for a special Valentine’s breakfast and ran across these. I’m sold! I can’t wait to make them Thursday! Thank you for the recipe! Love this recipe for crepes. We will be making again for Valentine’s Day. They’re so good! Such a fun crepe idea! I love crepes and these with the raspberry and red velvet is delicious! I love these crepes. They come out perfect. Making this weekend for the family. How much red food coloring should you use?